Today's So Shoe Me is the Yayoi Patent and Leather Sandals by Sophia Webster, $635, available at Net-a-Porter. 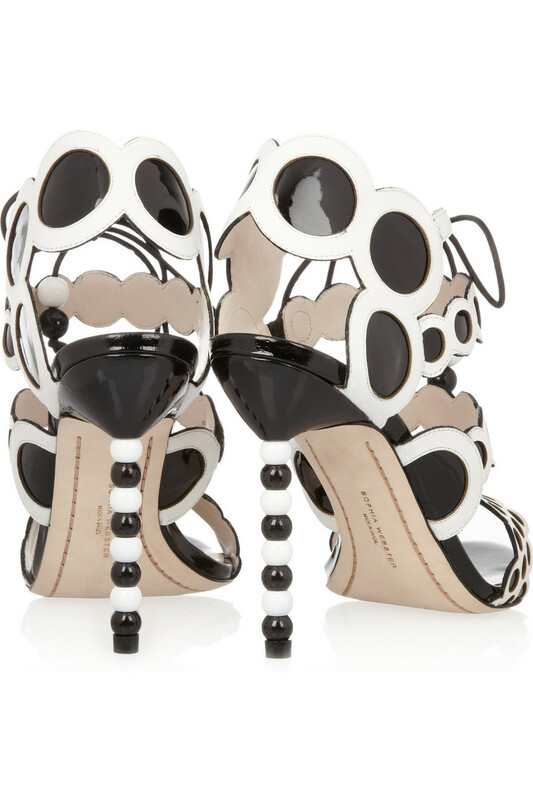 Get 360 degrees of style in these monochrome heels by Sophia Webster. Inspired by the spot paintings by Yayoi Kusama these beaded and dotted sandals are a work of art that will add a signature touch with modern appeal. Circular style in glossy patent and luxe leather adds a graphic edge and modern textures for a statement making heel that can be worn with tights in the winter and bare legs in the spring and summer. Pair these punchy geometric sandals with a modern printed skirt and athletic style knit for a mix of high end and street wear. So Shoe Me a pair of modern monochrome heels that bring iconic artwork in a signature sandal.